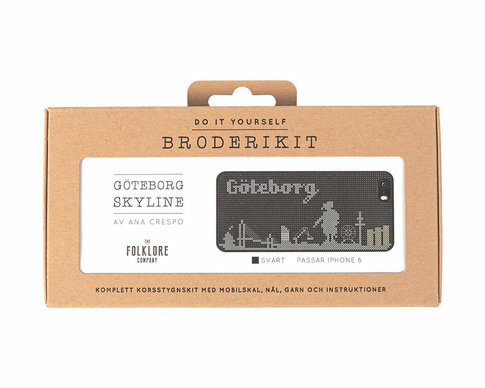 NOTE: the package contains Swedish instructions only! 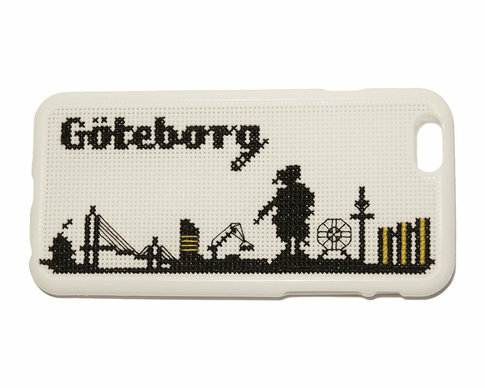 This exclusive complete embroidery kit lets you create your own phone case with a beautiful cross-stitched pattern. 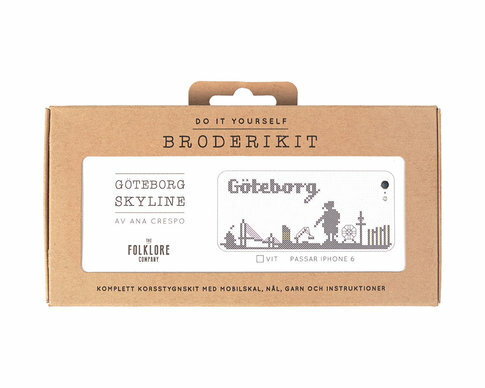 The package includes an embroiderable case, needle, thread and complete instructions. 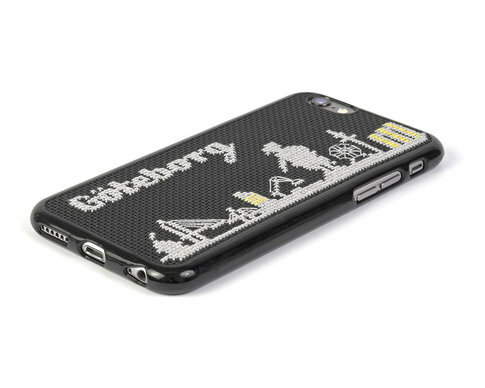 Perfect as a gift, Christmas present or pottering for anyone who wants a gorgeous case - or for anyone who loves the city of Gothenburg! 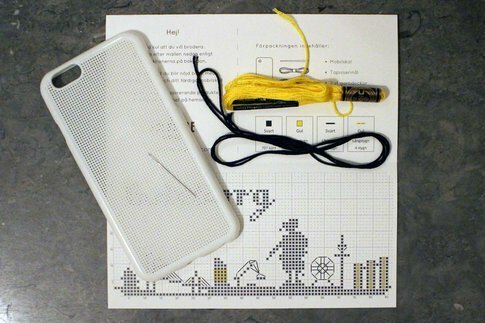 The pattern is created by the talented Spanish designer Ana Crespo. 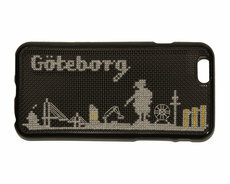 Can you recognize all the landmarks of Gothenburg? 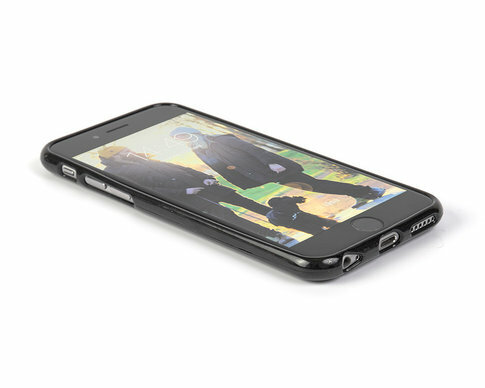 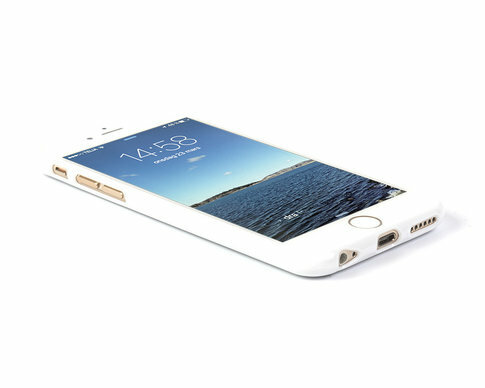 The case is ca 140 x 69 x 9 mm and suits the standard edition of iPhone 6 (but not iPhone 6S or iPhone 6 Plus). 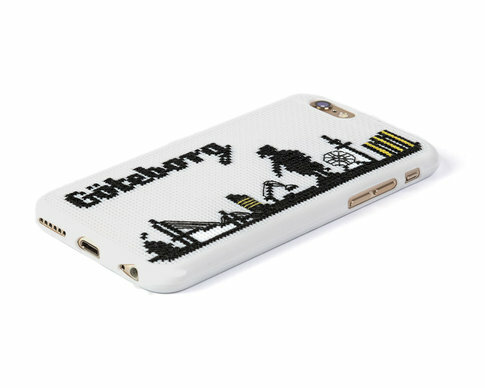 The case is made of TPU (thermoplastic polyurethane), an endurable and flexible material, easily mounted on your phone.